Beautiful spacious 2 bedroom elevated groundfloor apartment, south east facing, with fantastic views to the sea, the golf and the mountains. 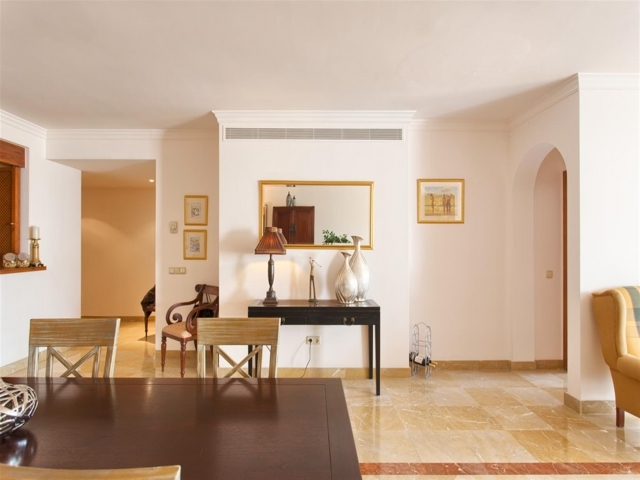 The apartment consists of a large living room, fully fitted kitchen, master bedroom en suite,. 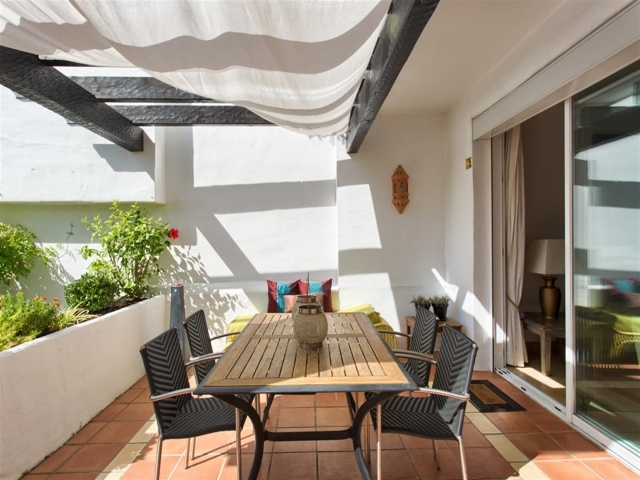 Spacious terraces with fantastic views. 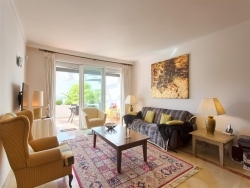 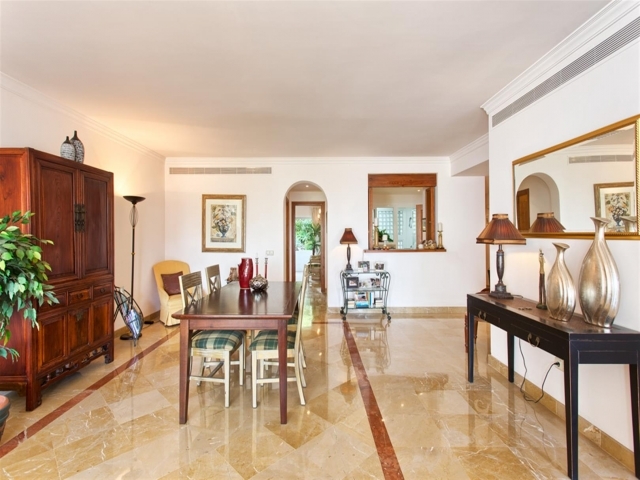 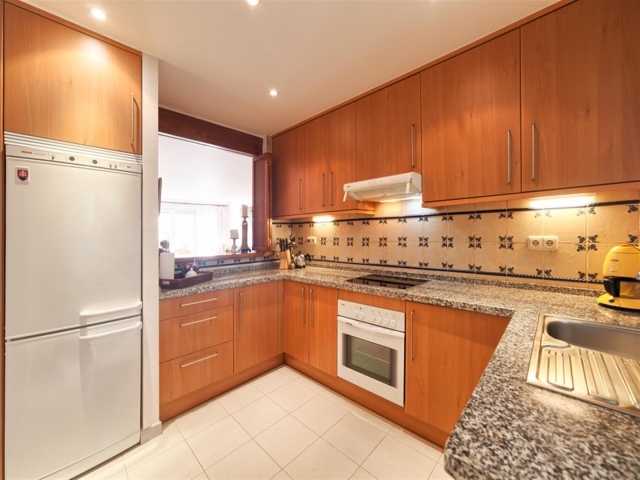 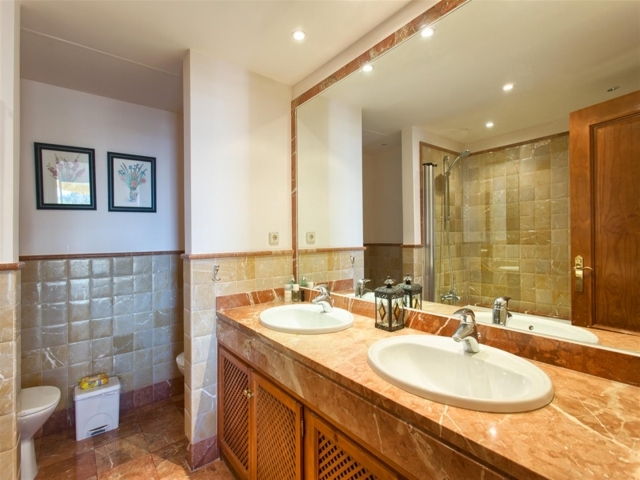 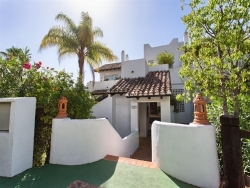 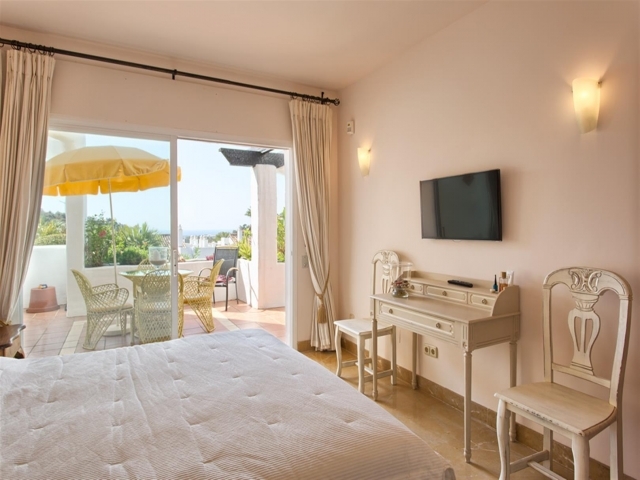 Extras such as A/C with heating, underfloor heating in the bathrooms, marble floors. 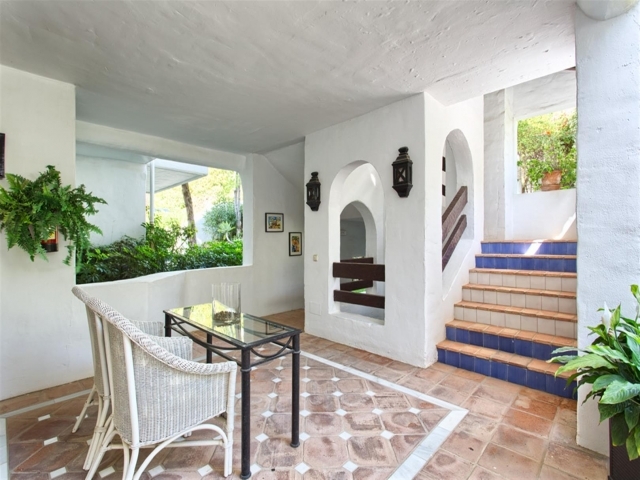 Las Lomas de la Quinta is a gated community with well kept communal gardens and pool. The apartment has one garage space and storage.